Who’s going travelling this Easter? Well, if you are you'll be pleased to know that at Handy Ideas we're always on the lookout for a good gadget and we're going to take you on trip to see what we've found. Let's face it us Brits aren't good at learning the lingo when we're away on holiday so these Language Travel Bangles help a lot. 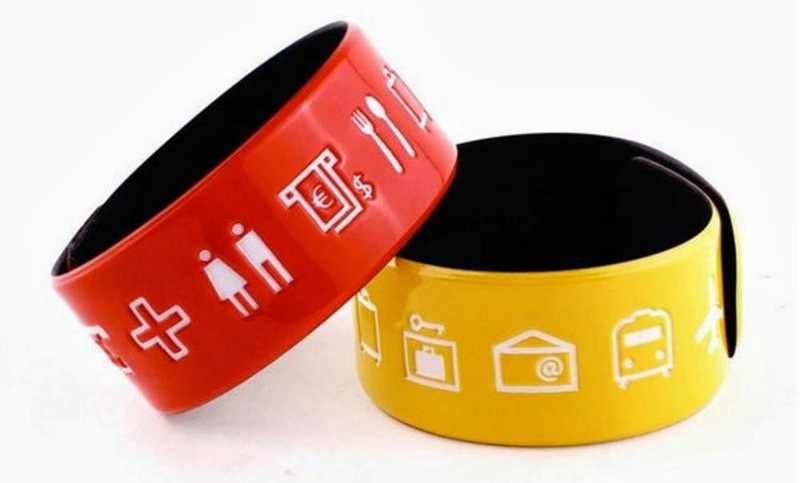 If you need something, like a bus, a bar, or "toileto", just apologise that you "speakie no Spanish" and point at the symbol of what you need on the Language Bangle. Great idea and a great way to get talking when you're on holiday abroad.